1.Does size really matter? A multisite study assessing the latent structure of the proposed ICD-11 and DSM-5 diagnostic criteria for PTSD – Hansen et al. 2.Trauma and PTSD in the WHO World Mental Health Surveys – Kessler et al. 3.Neuroimaging the traumatized self: fMRI reveals altered response in cortical midline structures and occipital cortex during visual and verbal self- and other-referential processing in women with PTSD – Frewen et al. 3.Tetris and Word games lead to fewer intrusive memories when applied several days after analogue trauma – Hagenaars et al. 3.The Neural correlates of childhood maltreatment and the ability to understand mental states of others – C. Van Schie et al. 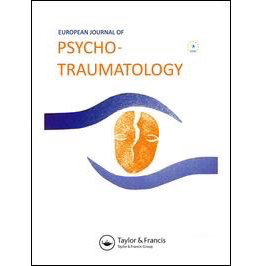 More about awarded papers, EJPT recent accomplishments, and priorities for the 2018 can be found in recently published EJPT editorial -Psychotraumatology on the move. Congratulations to Maj Hansen, Ron Kessler, Paul Frewen, Muriel Hagenaars, and Charlotte van Schie and their colleagues for excellent work!